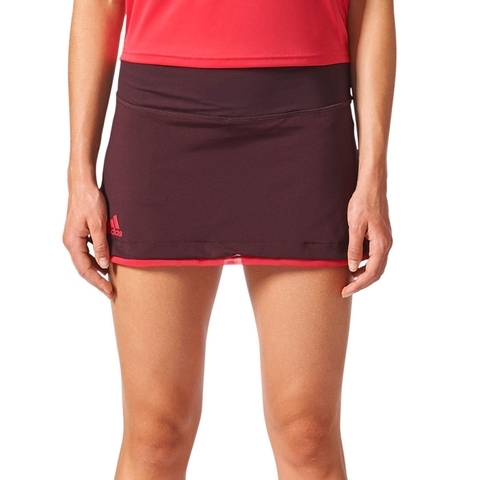 Work your way to the net in this womens slim-fit tennis skirt. 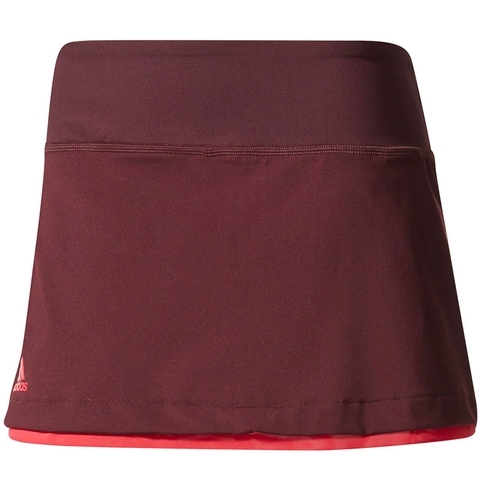 Worn by Simona Halep, this moisture-wicking skirt is made of stretchy doubleknit fabric that moves with you as you chase down every shot. Contrast mesh details at the hem add a splash of colour, while built-in tights offer convenience. A wide waistband provides a smooth fit. 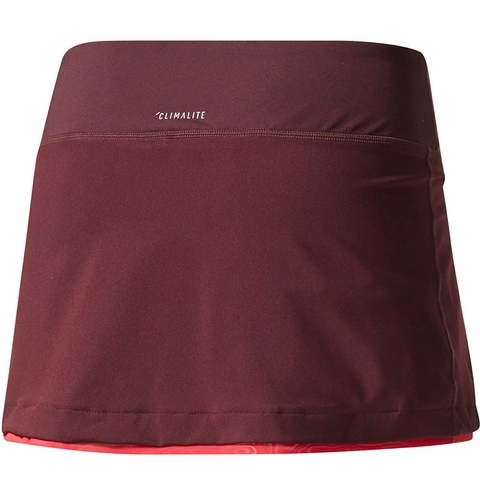 climalite® fabric sweeps sweat away from your skin, wide elastic waist, built-in tights, contrast inner waist and hem. Heat-transfer adidas Badge of Sport above right hem.